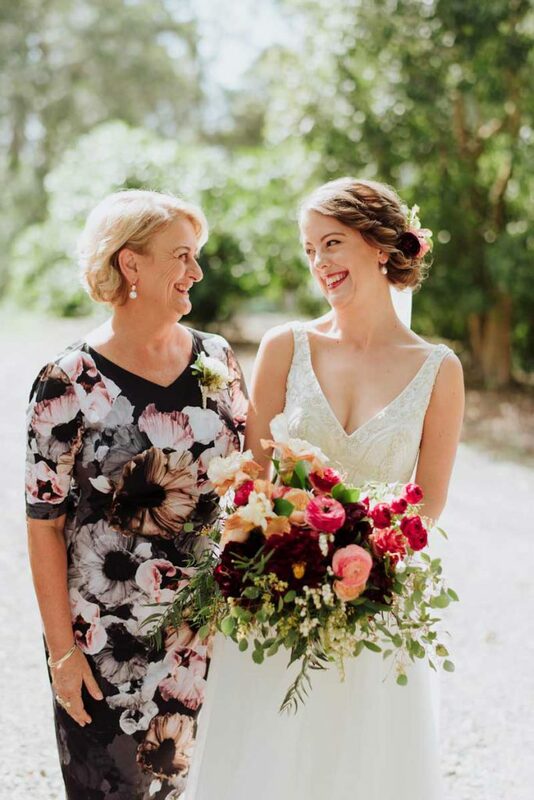 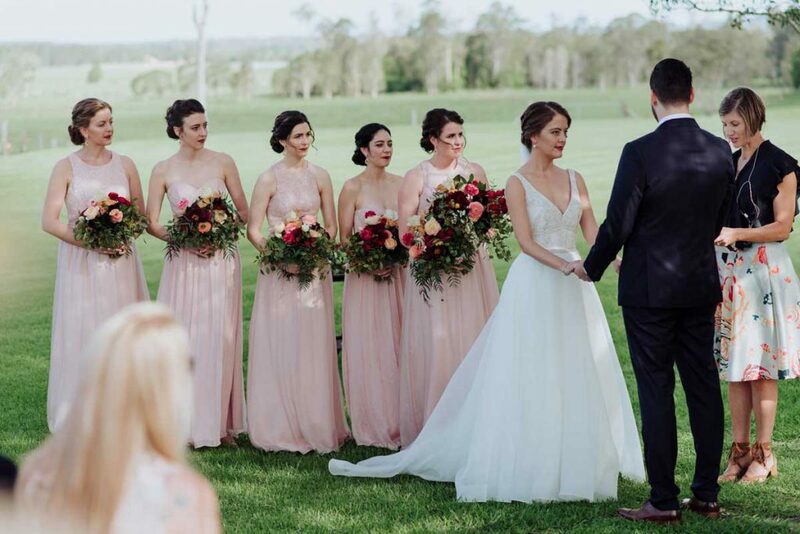 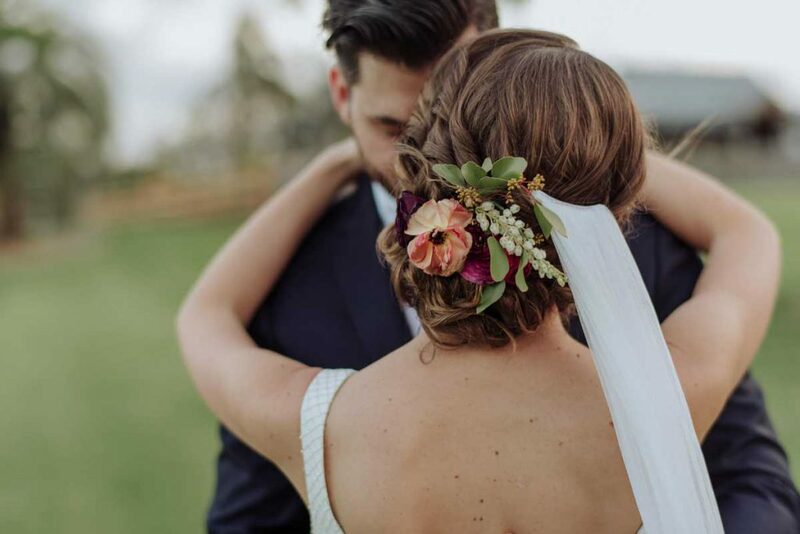 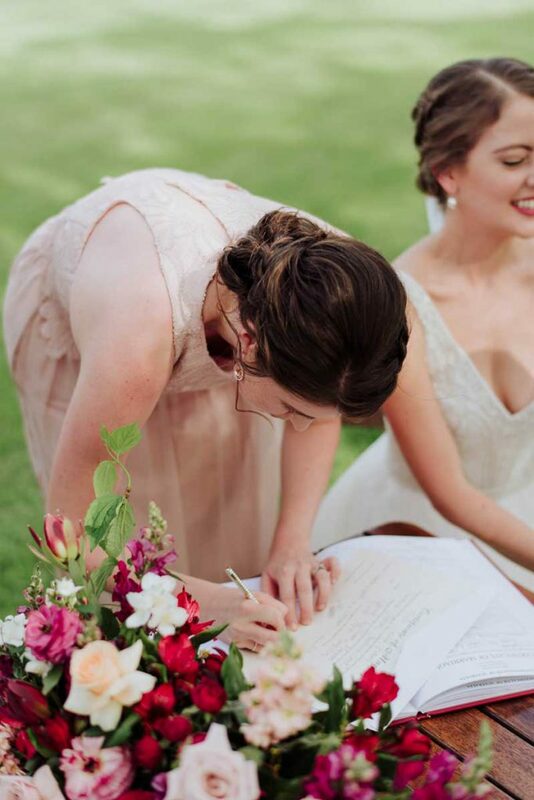 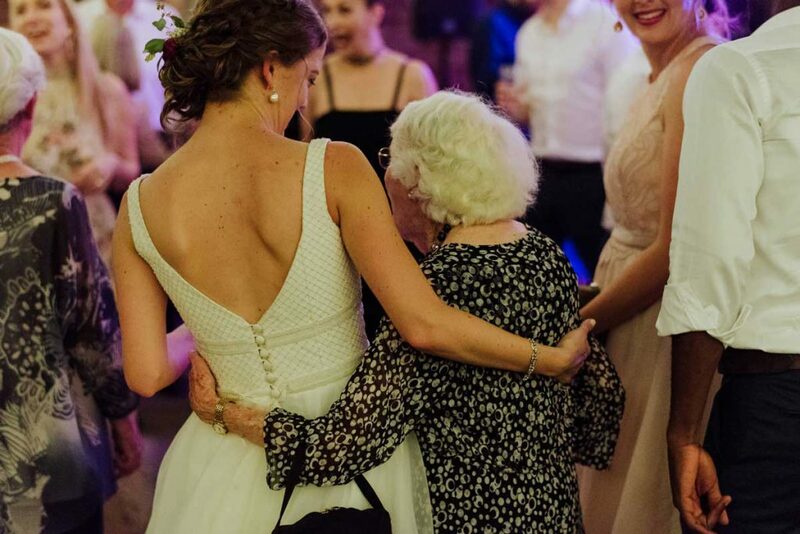 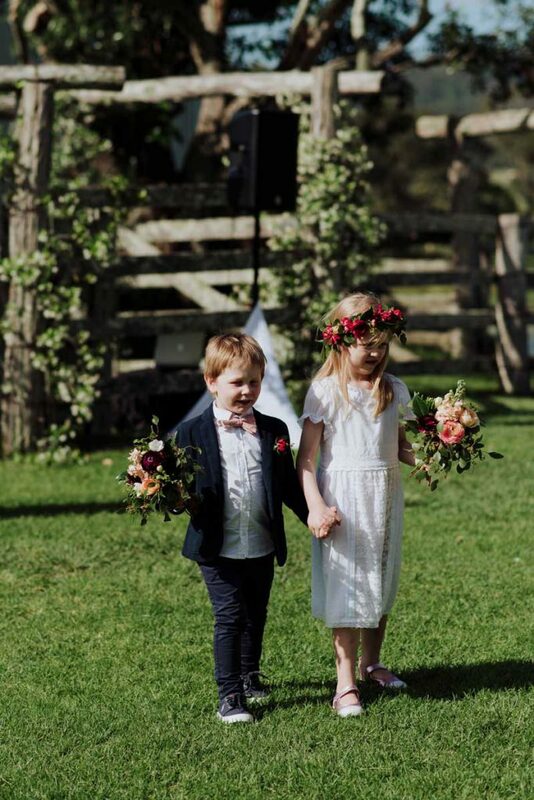 Elegant country wedding at our favourite, Yandina Station. 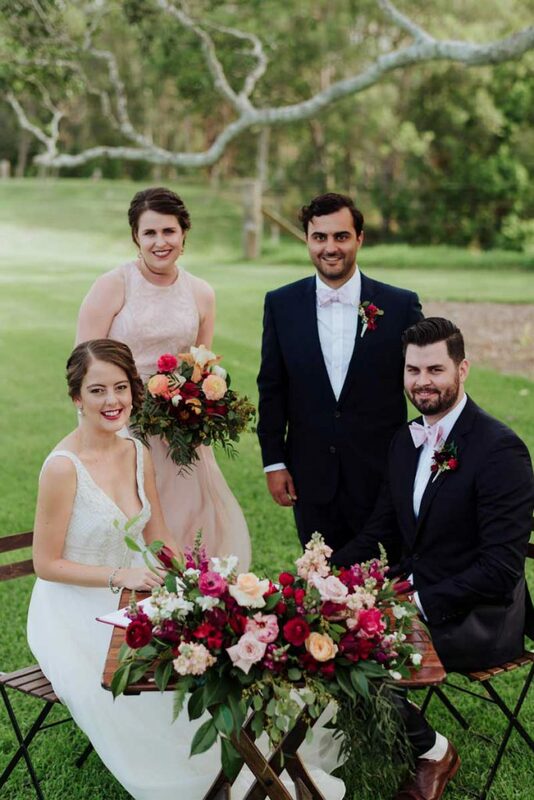 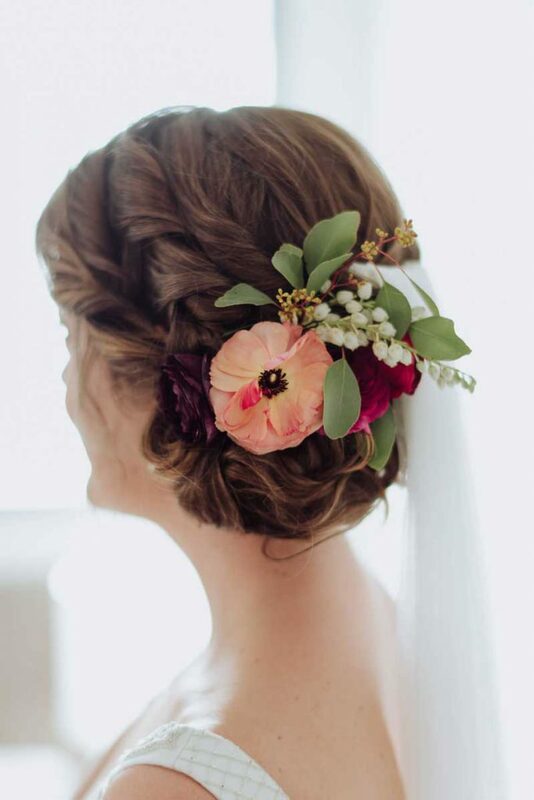 Pat and Nikki’s wedding was a dream to work on with because the colour palette was rich and lush and was slightly different from the blush and burgundy colour palette that is so popular. 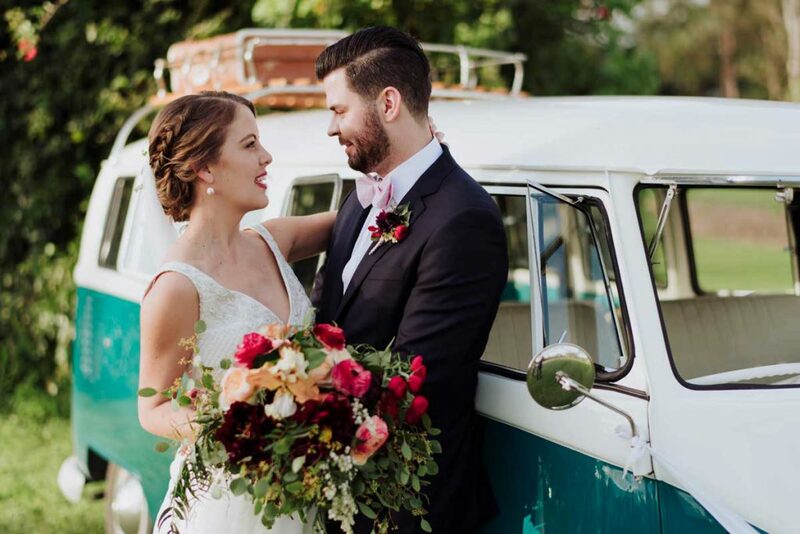 This wedding was featured on the Sunshine Coast’s most adored wedding blog, The Brides Tree. 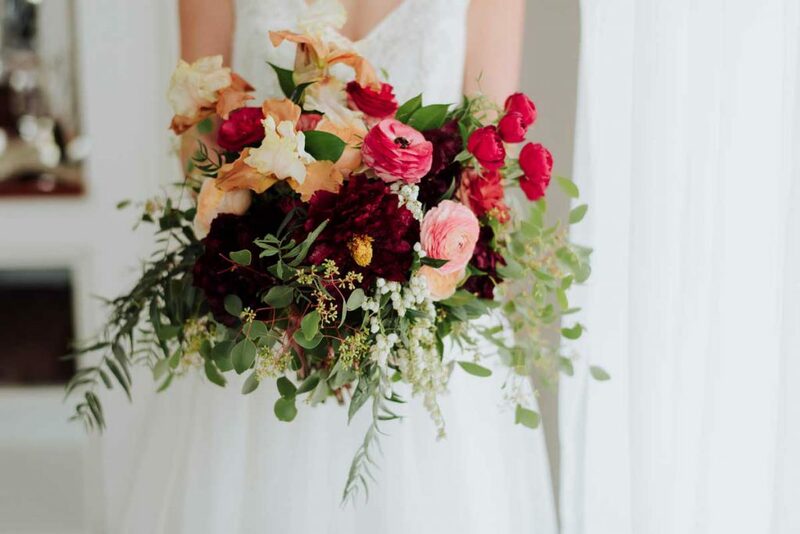 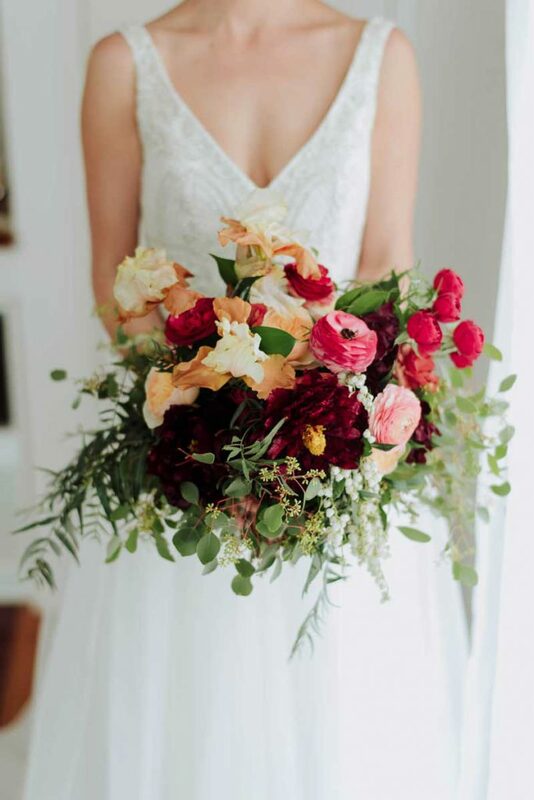 Nikki’s bouquet was a delicious blend of my favourite flowers, burgundy tree peonies, caramel bearded iris, salmon and raspberry ranunculus, andromeda and burgundy cluster lace roses with an abundance of seeded eucalyptus. 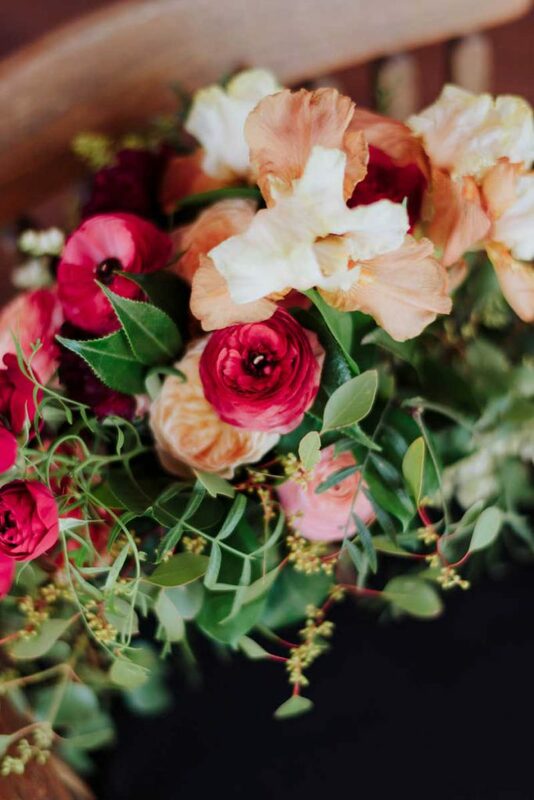 If you love this combination of blooms please choose the last week of October as this is the only week of the year that these flowers are all in season in the whole year- pretty special hey?! 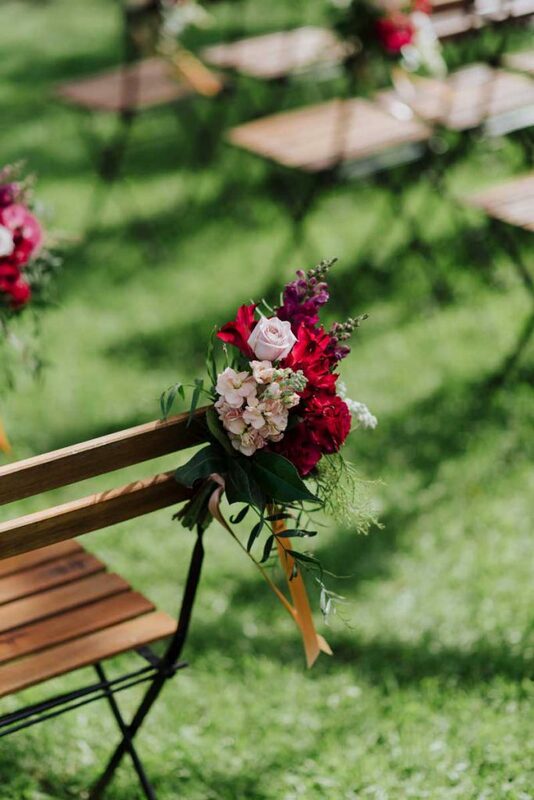 Sweet posies lined the aisle chairs and an oversized floral arrangement rested on the registry table. 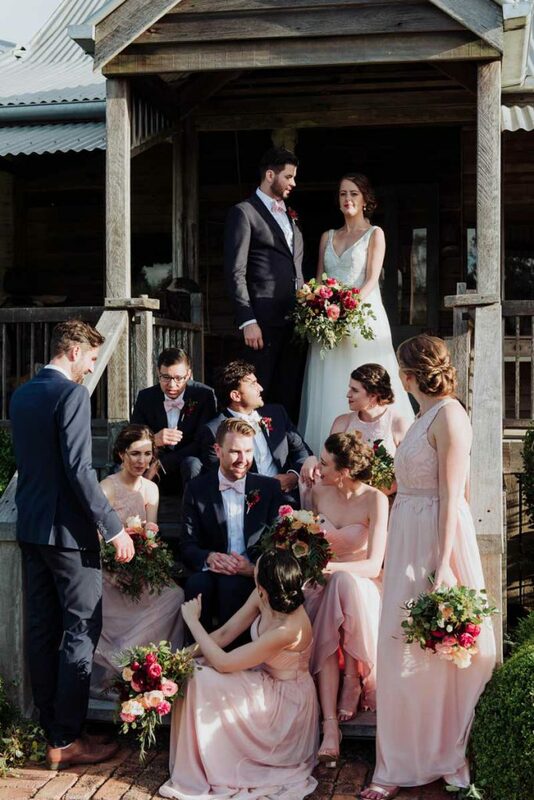 The mix of warm summery tones tied in with the bridesmaids dresses perfectly, it was fun to play with a complex colour palette and not make the flowers be too ‘ matchy matchy’ with the bridal attire. 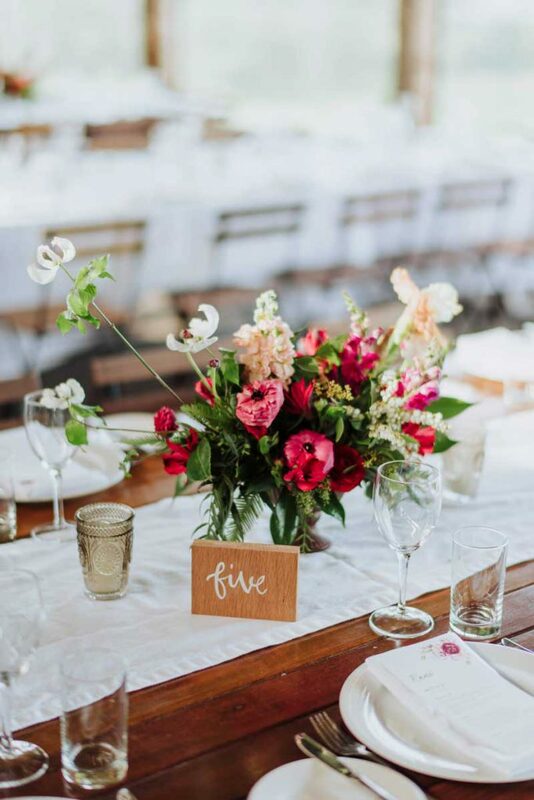 The reception at Yandina Station was styled really simply with simple candle votives grouped together, table runners and fairy lights. 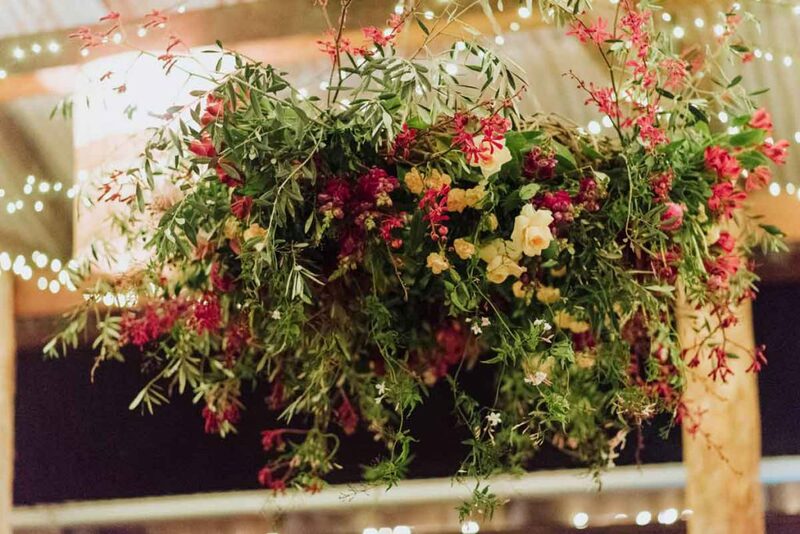 Over the bridal table a circular hanging installation danced over the bride and groom for the evening and was filled with roses, orchids, snapdragons, tulips, jasmine and trailing greens. 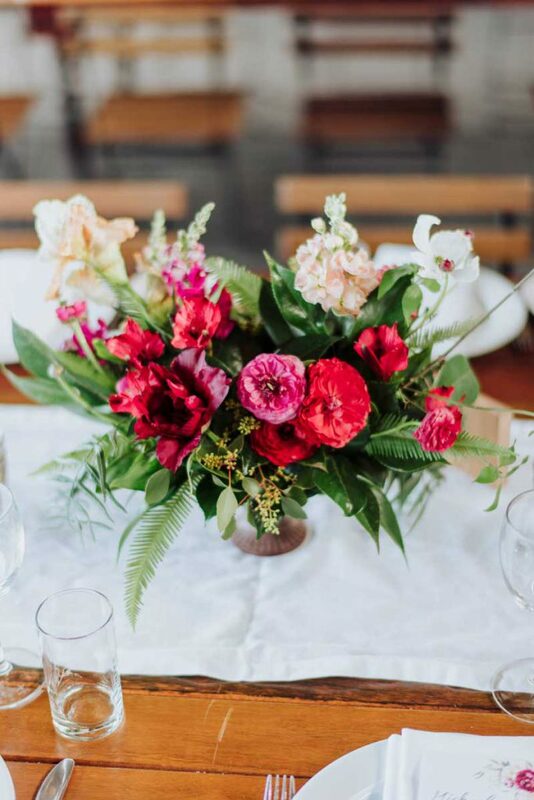 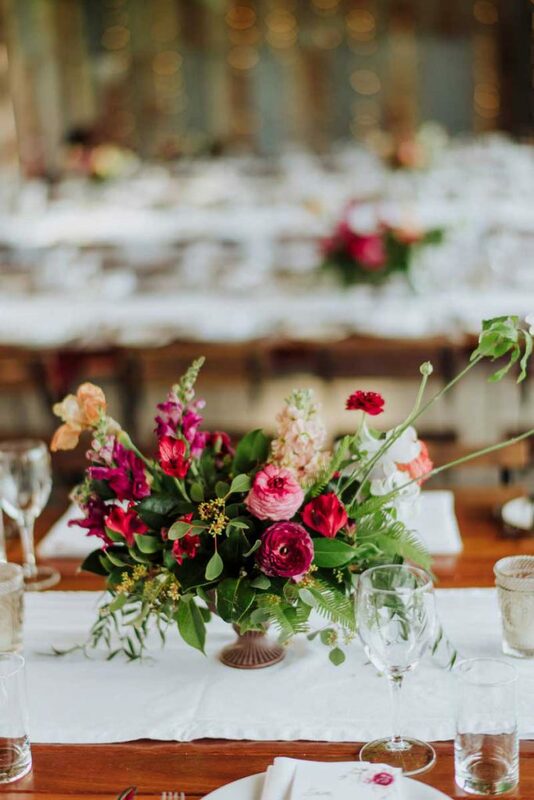 Our vintage bronze chalice bowls were romantically styled with stock, dogwood, alstroemeria, tree peonies, roses, snapdragons, bearded iris and ranunculus and rambling greens. 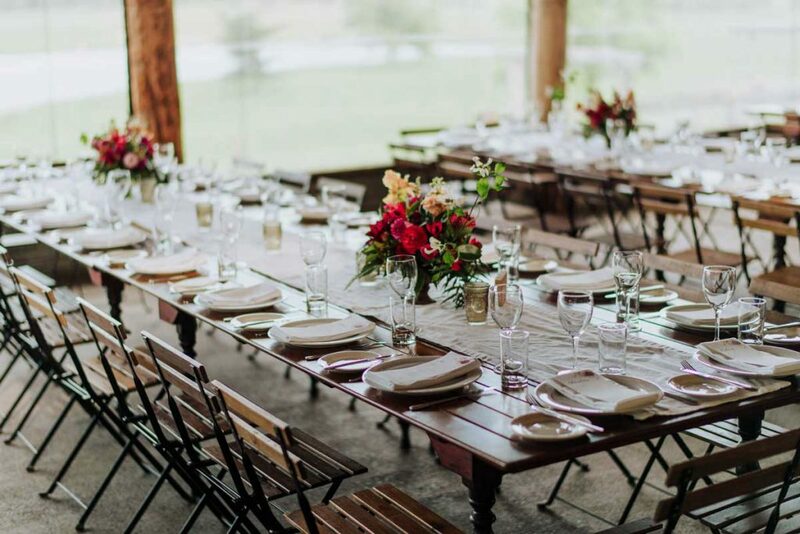 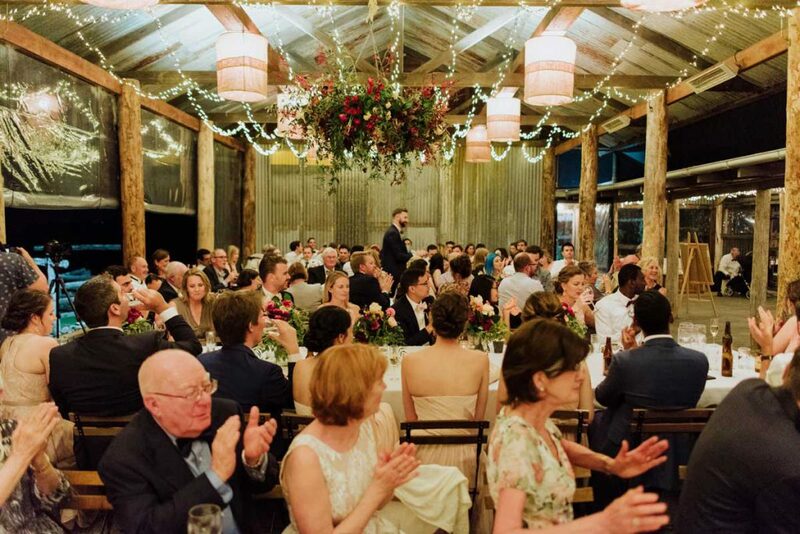 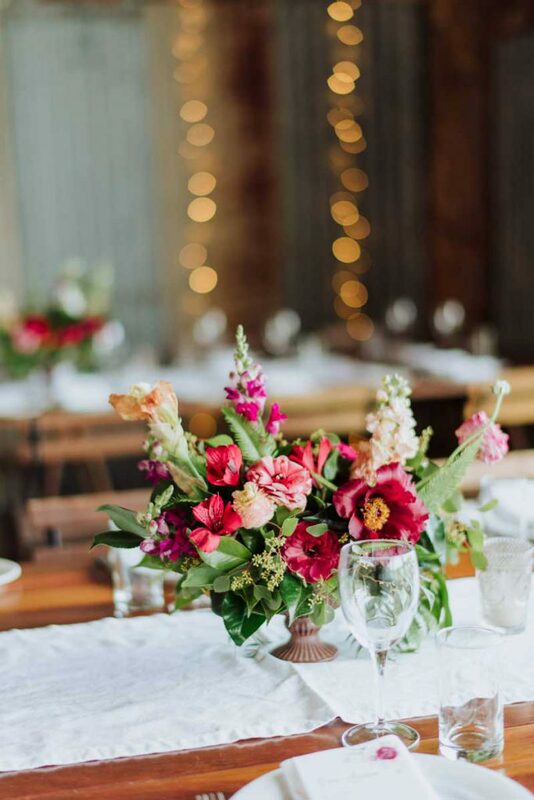 Each arrangement was slightly different from each other adding to the rustic charm of the venue. 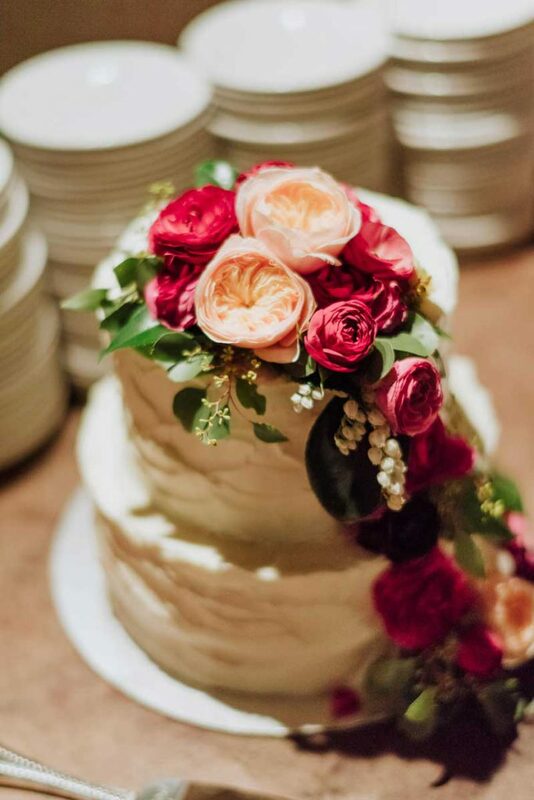 The cake also had a cascade of fresh blooms which looked good enough to eat! 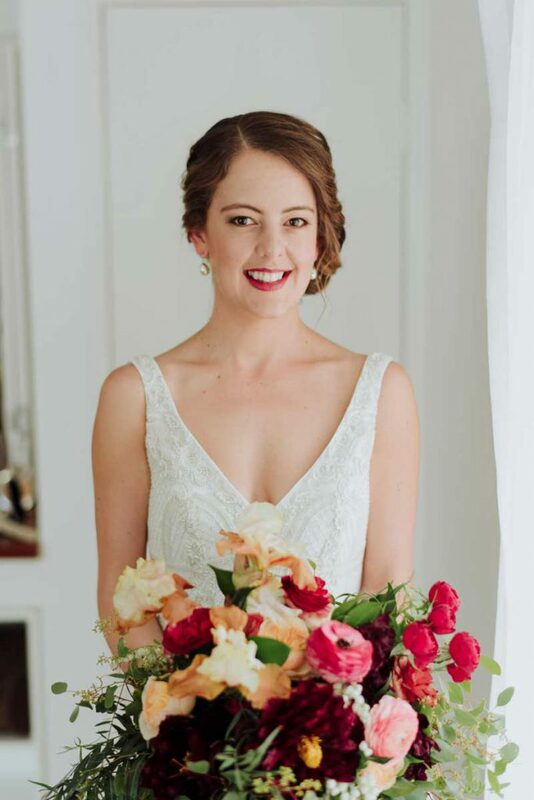 We couldn't be happier with the service and stunning creations provided by Willow Bud for our wedding, our vision was made a reality. 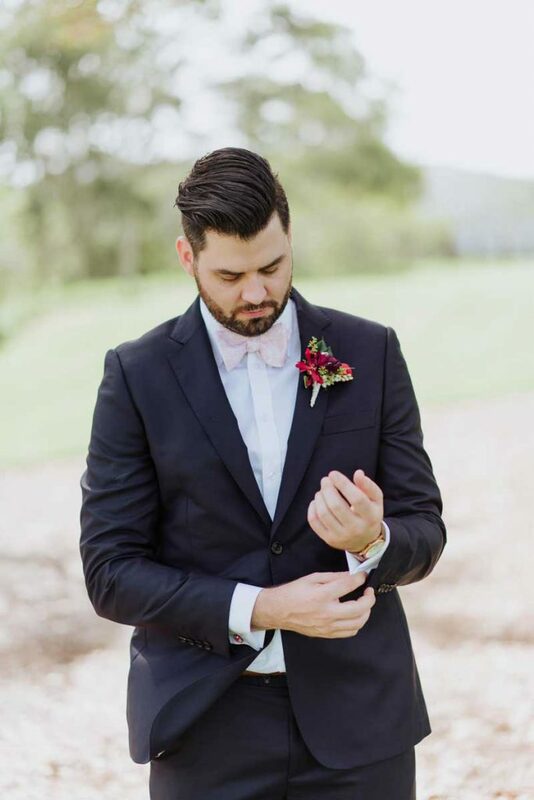 Photography by: Gabriel Veit Photography.